One of the hardest lessons for us to learn, in such an evil and confusing age as this, is how to walk by faith and not by sight: because if we walk only by sight, most of what we see is bad. Mark Rushdoony discussed this in his blog post yesterday. 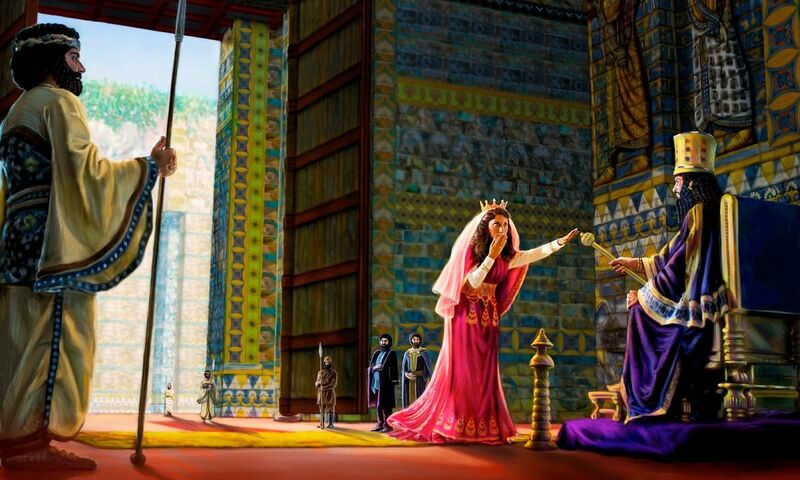 The Book of Esther, in which the name of God does not appear, shows how God governs history, intervening at need. Our God created us with free will and respects it, even when our will is bent to evil: but he will not let evil prosper in the long run. As Isaiah said, “No weapon formed against thee shall prosper” (Is. 54:17). How many times would God’s people have been wiped off the face of the earth, had He not intervened? As history, the Bible offers many examples of this truth. And we do well to learn them. This entry was posted on Monday, March 25th, 2019 at 1:52 pm	and tagged with Bible study, Chalcedon blog, Esther, God's providence, history in the Bible, how God governs history, Isaiah 54:17, Mark Rushdoony, www.chalcedon.edu and posted in history, religion. You can follow any responses to this entry through the RSS 2.0 feed. « Coming Soon: Robot Authors? Thanks. I need this, at the right time. I think we’ll be seeing many such events in the foreseeable future. I mean to blog about this tomorrow, but I wanted to share this nooze with you before I go to bed: today New Jersey defeated a bill to legalize pot. I rejoice! They thought they had the votes, but at the last minute, black Democrats defected, disobeyed the party bosses, and voted against the bill. We heard the deciding factor was the ghastly experiences which others states have had after legalizing recreational marijuana. For some reason they had this idea that strewing pot all over the place would finish wrecking what was left of the urban black community. I pray this will start a trend, that blacks will finally realize that the Democrat Party has never and will never be their friend. We owe ’em for this one! This is great news. I’ve seen the effects of legal pot, firsthand, when Colorado became a cesspool overnight. Places I had known and visited for years no longer felt safe. Staying in a familiar motel turned into a sleepless night because of an undercurrent of activity which included banging on my door at 3 AM and asking for someone I’d ever heard of. Hopefully many who have seen the Democrats as allies will come to realize that the Dems have never been their friends. I’ve heard that the Jewish community is starting to have second thoughts about them. I love the optimism of Post-Millennialism which was very popular with the Puritans, and in the West until WWI & WWII. The idea is that the Book of Revelation was written to the seven churches in Turkey, not to the Christians per se of the the 21st century, so all that imagery of the Beast, etc. was fulfilled way back when. Of course, the end section about the New Jerusalem coming down out of heaven is still in the future. Our fellowship in the Gospel is not based on our personal belief in a certain eschatology but in the shared salvation we all partake of via the shed blood of Jesus. Only God knows the future, and the prophets He chooses to know about things to come.